An offer that's hard to resist, this 2-day combo includes four enticing options - the Burj Khalifa, Dubai Aquarium, Desert Safari and Dhow Dinner Cruise. Spread out over two days, you get a keen sense of the city from these four experiences that are unique to Dubai! A view from the tallest building in the world sounds like quite the experience, and that's exactly what you can expect with this voucher! Enjoy a fascinating multimedia presentation about Dubai's history and its crown jewel, the Burj, as you make your way to the 124th floor. Once there, you can enjoy mesmerising views of modern Dubai's landscape. Your voucher enables you access to the 125th floor as well. You can also choose to step onto the open-air terrace and observation decks to get a clearer view through the viewing telescopes that have been set up here. With a capacity of 10 million litres and located in Dubai Mall, the Dubai Aquarium is one of the largest suspended aquariums in the world. It boasts a fantastic array of over 140 marine species that includes 400 sharks and rays as well as the largest collection of Sand Tiger sharks in the world. For those brave of heart, do pay a visit to King Croc, one of the largest Australian Saltwater Crocodiles in the world, which weighs a massive 750 kg and is an impressive 5 meters in length! The 48-meter long tunnel gives you 270-degree views of the of the gigantic aquarium. You can also explore biomes like the Rocky Shore, the Rainforest and Living Ocean environments at the Underwater Zoo, which houses sea otters, piranha, penguins and many other species. A popular Dubai pastime, lounge about as you sail down Bur Dubai or Deira Creek in luxury. The dhow or Bateaux cruise includes a wonderful dinner that you can savour just as much as the older parts of the city that you will have the opportunity to see! You will be greeted with traditional welcome drinks - water, tea and Arabic coffee. Take a walk around the open-air upper deck and revel in the comfort of the fully air-conditioned lower deck. The desert safari includes hotel pick-up and drop-off. You will first be driven to the desert in a 4x4 vehicle and then make your way over the dunes in a thrilling ride to the Bedouin camp. You can experience desert dune bashing first-hand! Once you arrive at the Bedouin camp, there are other exciting activities in store, including shisha smoking and henna painting. Take a walk on the ancient side with a camel ride. As night approaches, you can relax and enjoy a belly dancing show and a Tanoura dance performance. Don't forget your souvenirs of this exciting experience with the opportunity to get photographed in full Arabic attire or capture a photo of the sunset. Dinner is a vegetarian and non-vegetarian buffet. The camps have separate restrooms for men and women. Admission tickets to the Burj Khalifa (124th & 125th floor). Admission tickets to the Dubai Aquarium. Evening desert safari with transfers to and from your hotel. Dhow dinner cruise with transfers to and from your hotel. Transportation to and from the Burj Khalifa & Dubai Aquarium. At the time of checkout, please book adult tickets for all members of your party since adult pricing applies to guests of all ages for this experience. Duration: This tour will take place over a course of 2 days as the Desert Safari and Dhow Cruise are both Dinner events. Day 1: Burj Khalifa - Choose any time slot between 8:30 AM - 3:00 PM to visit the 124th & 125th floor of the tallest building in the world. You can visit the Dubai Aquarium any time during the same day with a single entry. Day 1: Desert Safari - Pick up between 3:30 PM - 4:00 PM. Day 2: Dhow Dinner Cruise - Pick up between 7:00 PM - 7:30 PM. Please note that this itinerary is fixed. No problem with the combo reserved. Things can be little better like a contact number for whatsapp or a chat interface for easy resolution of quieries. I had to deal with lot of mental turmoil to get the reservation because of error in the dates for my booking. I had heard very good reviews of this website. I decided to give it a try for my Dubai vacation. Must say I was not disappointed at all! Great service and very easy to book. You will receive an email with your Burj Khalifa At the Top and Dubai Aquarium voucher shortly. No need to print. 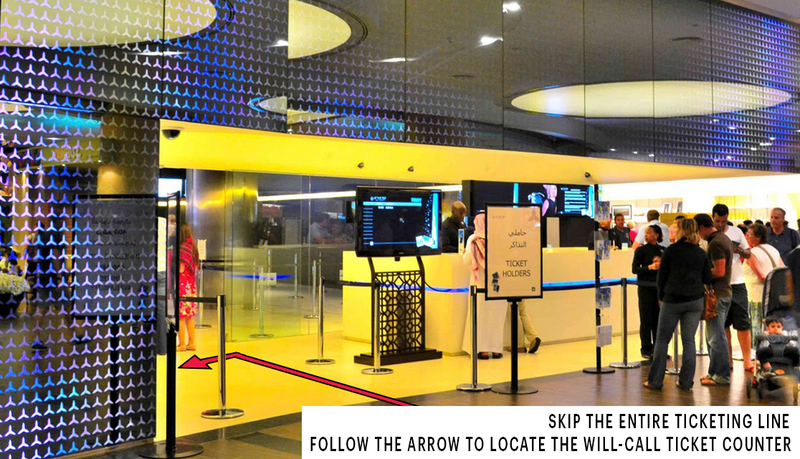 Please display the same on your mobile phone at the will-call ticket counter located at the At The Top entrance on lower ground level of the Dubai Mall. For the other two activities, your voucher will be emailed to you shortly. Please display the same on your mobile phone with a valid photo ID at the time of pick up for each activity. Your ticket for the Burj Khalifa will be for the time slot you select. The tickets for the Dubai Aquarium are valid for the full day you make the booking for.